Technological advances in insulin therapy have resulted in a wide and ever-expanding range of rapid-acting and long-duration insulins. Development of novel insulins is founded on considerations of pharmacokinetics and pharmacodynamics. Demonstration of clinical safety and efficacy is required as a novel insulin progresses from preclinical to clinical development. The euglycemic clamp technique is the method of choice for determining time-action profiles of new insulins. Data from glucose clamp studies are required by regulatory authorities. Regulatory requirements for approval of biosimilar insulins include rigorous evaluation of the pharmacodynamic and immunogenic properties of these insulins; the euglycemic clamp is central to pharmacodynamic evaluation of biosimilar insulins. FDA approves Afrezza to treat diabetes; Cited June 2014. 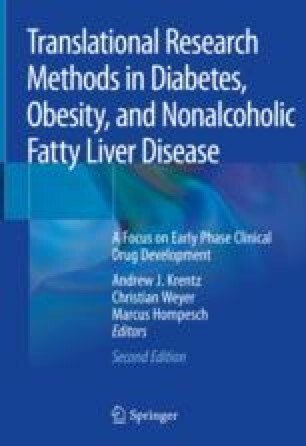 Available from: http://www.fda.gov/newsevents/newsroom/pressannouncements/ucm403122.htm. Hompesch M, Patel D, La Salle JR, Bolli GB. Pharmacokinetic and pharmacodynamic of new generation, longer-acting basal insulins: potential implications for clinical practice in type 2 diabetes. Postgrad Med. 2018. https://doi.org/10.1080/00325481.2019.1568136. Sanofi. Toujeo: summary of product characteristics. Available from: http://www.ema.europa.eu/docs/en_GB/document_library/EPAR_-_Product_Information/human/000309/WC500047935.pdf. European Medicines Agency. Guideline on non-clinical and clinical development of similar biological medicinal products containing recombinant human insulin and insulin analogues; July 2nd 2015. Available from: http://www.ema.europa.eu/docs/en_GB/document_library/Scientific_guideline/2015/03/WC500184161.pdf. European Medicines Agency. Guideline on non-clinical and clinical development of similar biological medicinal products containing recombinant human insulin and insulin analogues (draft); 2014. Available from: http://www.ema.europa.eu/docs/en_GB/document_library/Scientific_guideline/2014/04/WC500165988.pdf. US Food and Drug Administration. Guidance for industry. Scientific considerations in demonstrating biosimilarity to a reference product; 2012. Available from: http://www.fda.gov/downloads/Drugs/GuidanceComplianceRegulatoryInformation/Guidances/UCM291128.pdf.